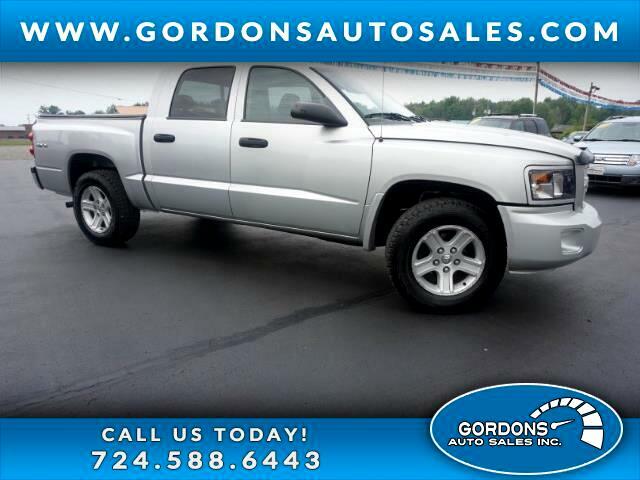 3.7l v6---BIG HORN---4X4---CREW CAB---ALLOY WHEELS---KEYLESS ENTRY---AUTOMATIC TRANSMISSION---AIR CONDITIONING---POWER LOCKS---POWER WINDOWS---TILT STEERING WHEEL---CRUISE CONTROL. PA INSPECTED AND EMISSIONS. THIS DAKOTA IS READY FOR YOU. COME IN TODAY FOR YOUR TEST DRIVE OR CALL 724-588-6443 FOR DETAILS.